At the evening of the entrance of our three postulants, I'm sending you some photos. We had beautiful day. At the some time I can tell you that our community it is still in growing -on the November 2 will join us postulant Aude from France. We are happy that our internationality will get "new color". 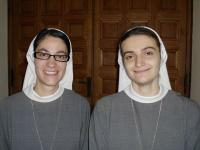 Both older novices Sara and Nikolina are in the two month time of preparation for their first vows. Sara will have vows here in the Generalate December 8 and Nikolina in Varaždin, Croatia on December12. Thank you for your prayers and support. Pogledajte kako je lijepo u internacionalnom novicijatu u Rimu. Dear sisters, it's time for some news from the novitiate. 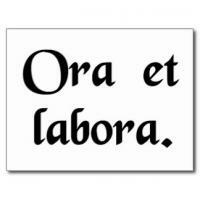 This days novices will left in their provinces for one month of apostolic experiences in their provinces. I will also go in my province for holidays. During this time I'll spent one week in Poland in the community of postulate. (We expect that four of their postulants will come in Rome in August.) Novices will come back in the end of June. With Sr. Sara will come postulant Veronika from Slovakia. We are happy for growing community. Sr. Zdenka has one month more for her study then she will visit her province in July. Rest of us we will move in "summer novitiate" in Fondi. after a very long time, here are some news from the Novitiate. A part of summer we spent in Fondi. in the August there started changes. 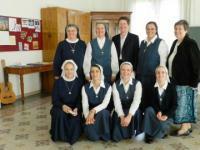 First Caritas and Jana Pavla returned to Slovakia and they have her first vows in Bratislava at 22. of August. Postulant Monika from Poland came a week later and joined us.She will enter in the novitiate on the feast of St. Ursula. 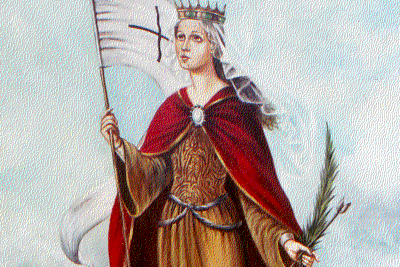 At the same day we will celabrate first profession of Maja (Slovenia) and Grete (Austria). Now they have their preparation time and they thank you for your prayers. Naše dvije postulantice Nikolina i Silvija ušle su u internacionalni novicijat u Rimu gdje će ostati dvije godine. U novicijat ih je 08. 12. 2013. primila provincijalka s. Jasna, a prisutna je bila i generalna majka Cecilia Wang. On Friday we were at Basilica of St. Cecilija - for her feast. On Sunday on the concluding mass for the Year of the Faith with pope. Yesterday we celebrate with Mother Cecilia for her feast. On Thursday we will start retreat - until 6th of December. Thanks for all prayers! Naše dvije postulantice Silvija i Nikolina pripremaju se za novicijat u Rimu od kraja listopada 2013. g. Pratimo ih molitvom i tražimo od Gospodina potrebne im milosti, kao i nova zvanja u cijeloj Europi. For the whole week before the feast, we had many things to do: arranging, cleaning, painting, but also prayer, including a day of prayer at Tre Fontane and waiting… Saturday evening we joined an International Office of Readings in the main chapel, and the next morning there was a solemn mass. At the end of Mass, the priest blessed the religious dresses and medals for the new novices. Cijeli tjedan prije blagdana imale smo mnogo toga za raditi: uređivale smo, čistile, maljale ali i molile uključujući i dan molitve u Tre fontane i čekale smo. U subotu navečer smo se priključile međunarodnoj Službi čitanja u glavnoj kapeli a slijedećeg jutra je bila svečana misa. Na kraju mise svećenik je blagoslovio redovnička odijela i medaljice za novakinje.